Zircon Industry Association (ZIA) is an independent industry association for the entire zirconium value chain, from zircon sand produced by mining and beneficiation to a wide range of downstream products, including zircon flour, opacifiers, refractory materials, fused zirconias and zirconium chemicals, metal and alloys. ZIA's mission is to represent and support the interests of the zircon, zirconia and zirconium value chains. The association will achieve this by educating and informing governments, industry bodies and other key stakeholders on the uses and benefits of zircon and its derivatives – including in the context of emerging regulatory challenges and industry-wide technical issues. We hope that you will find all the information that you need about zircon and its derivatives. If you can’t find what you are looking for, please contact us. 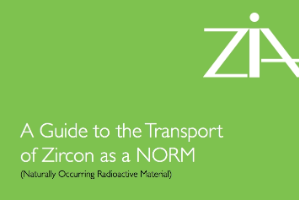 The ZIA has published a comprehensive guide to the procedures and regulations involved in transporting zircon. 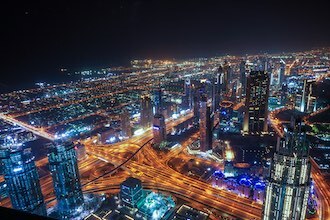 Dubai, 3-5 September 2019 - Registration now open!